Timeless furniture. Built to last. Made for you. 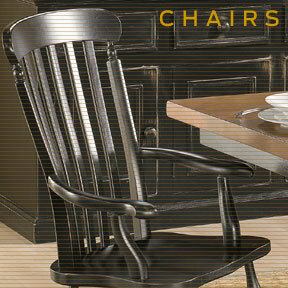 Our furniture has timeless style and is built using traditional country French techniques. Each farm table, chair, cupboard, armoire, desk and sideboard features handcrafted traditional turnings, beveled and raised panels, and generous crown moldings. Each piece of furniture is made of solid wood: pine, birch, maple, or ash. 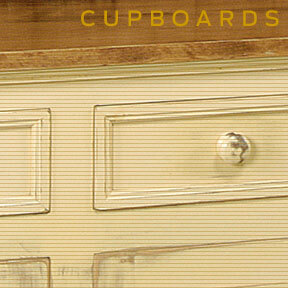 We never use pressboards, MDF, or veneers in the building of our furniture. Each French Country furniture piece is built using time-tested techniques for longevity of the piece. 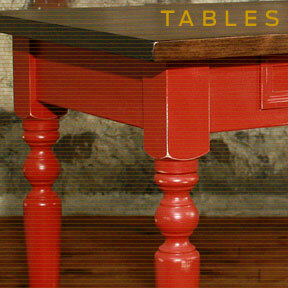 Our furniture is hand-finished using traditional, vibrant Milk Paint colors low-VOC stains. Each French Country furniture piece is lightly distressed for a time-worn finish. We offer a wide range of colors and stains for a new or "aged" finish.